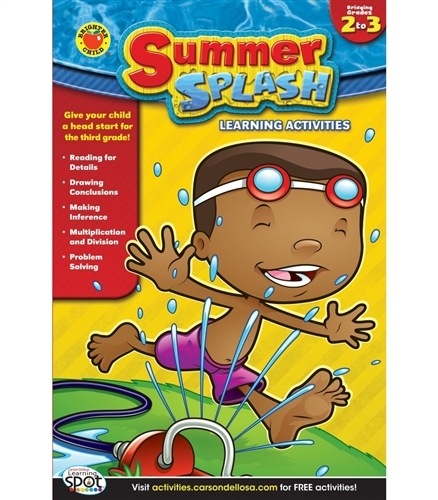 Summer Splash Learning Activities will keep your child active and learning all summer long. 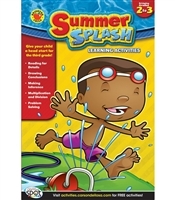 The curriculum-based, self-motivating activities in this workbook review reading and math topics your child learned in second grade and prepare him or her with the skills needed to leap into third grade! Each workbook features 96 pages of hands-on activities to build confidence and bridge the summer learning gap, as well as answer keys and assessment tests to measure progress. The week-by-week format encourages your child to continue learning throughout the summer, whether you’re at home or on the go. Summer is the perfect time to give your child a head start when school starts in the fall!